Samsung Galaxy Note 9, as expected from the launch cycle of the series, should be presented to the public by the second half of 2018. The latest rumors have identified the date of 9 August as that scheduled for the official launch, but the South Korean giant has not yet revealed no details in this regard. According to the “leaks” appeared on the web, it seems that the front of the device is present with a structure very similar to the one we have already seen on its predecessor, the Galaxy Note 8. In addition, Samsung said it had patented a smartphone design with one of the highest “screen-to-body” reports seen so far: presumably, it will be implemented in some of the company’s future smartphones. 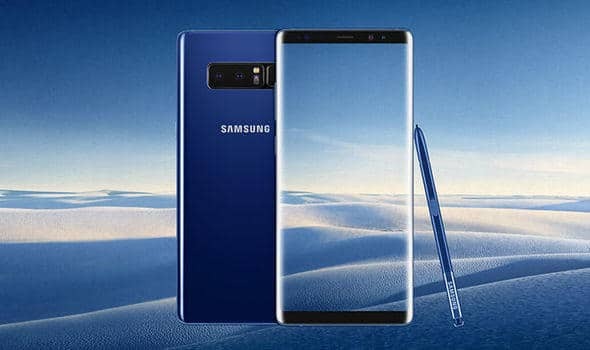 In a tweet of the renowned social media user who responds to the nickname of Ice Universe, the panel “unveiled” suggests that the Galaxy Note 9 will borrow some elements of the design of the Galaxy Note 8, such as a double-curved display and some cut-outs for the front camera, sensors and headset. However, compared to its predecessor, the Galaxy Note 9 seems to have thinner frames on both the top and the bottom. The technical specifications of Samsung’s expected device have been revealed in several “leaks” that have appeared in recent weeks. The Galaxy Note 9 will present a 6.4-inch Super AMOLED Infinity display, with an 18.5: 9 aspect ratio. The top of the range should almost certainly be equipped with a Qualcomm Snapdragon 845 processor, but there are also those who suggest the presence of a Samsung Exynos 9810 chip. What is certain is that the SoC will be combined with a maximum of 8 GB of RAM and 512 GB of internal memory. In addition, the Galaxy Note 9 could show off a 4000 mAh battery and a dual rear camera. There are five color variations: black, blue, brown, gray and lavender. A report published by the MobielKopen website states that the South Korean giant has patented a smartphone design with a minimal frame on the top without the need for a “notch”, which we now see in almost all the new devices of the most important companies. According to what emerged, the patent would be lacking a fingerprint sensor on the front or back, which suggests that Samsung is thinking about a fingerprint sensor integrated into the display for its next flagship, probably the Galaxy S10.